Atlas Race Series enclosed car hauler with cabinet package. Base and overhead and full height closet/wardrobe on the left. 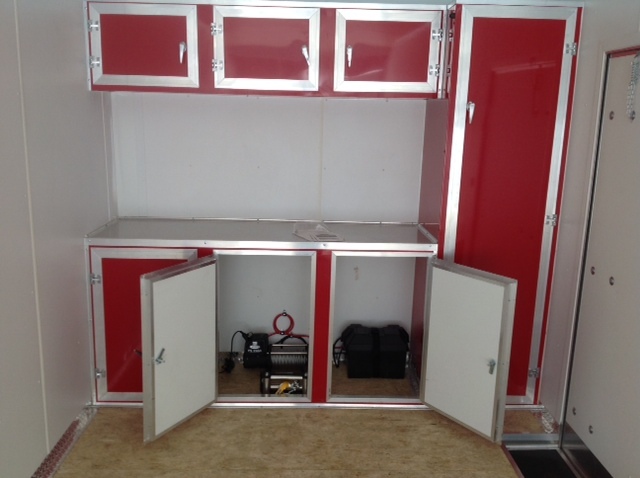 5,000# super winch installed inside cabinet. The winch is kept out of the way and there is nothing to trip or look at unless needed.